In 1986, Dr. Artamonova graduated from the First Moscow Medical Institute n.a. I.M. Sechenov specializing in general medicine, then clinical residency (1988) and full-time doctoral program in clinical oncology (1991). In 1992, she received PhD, in 2004 – DSci. Dr. Artamonova’s career has developed within N.N. Blokhin National Medical Research Center of Oncology, where she currently heads the Department of Chemotherapy. 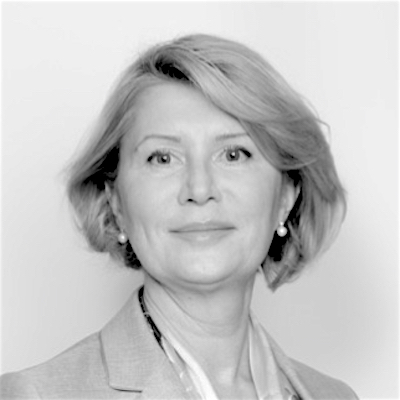 She is a member of ASCO (American Society of Clinical Oncology), ESMO (European Society for Medical Oncology), RUSSCO (Russian Society of Clinical Oncology; Board member). Society of Specialists in Cancer Coloproctology, RSOM (Russian Society of Oncomammology; Board member, SAB member), and Society of Specialists in Reproductive Cancers. She is Editor-in-Chief of the journal “Medical Alphabet”, series “Diagnostics and Oncotherapy”, an editorial board member in journals “Oncoсoloproctology”, “Gynecologic Tumors”, “Oncogynecology”, “Immunology of Hematopoiesis”, an author of over 170 publications, including monographs. Dr. Artamonova was a co-investigator in the international clinical study protocols of breast, lung, kidney, colorectal, head and neck cancers treatment, as well as in clinical trials of Russian anti-cancer drugs (phases I, II, III). Her scientific interests include immuno-oncology, solid tumors chemotherapy (breast cancer, lung cancer, gastrointestinal tumors, gynecologic cancers).